WE COULD'NT BE RELEASING ALL THOSE RECORDS WITHOUT YOU!! 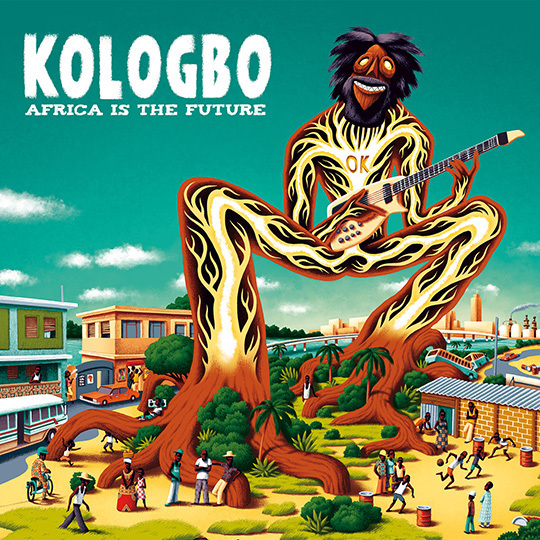 Take part with Paris DJs in the release of the album "Africa is The Future" from FELA KUTI's tenor guitar player, OGHENE KOLOGBO. 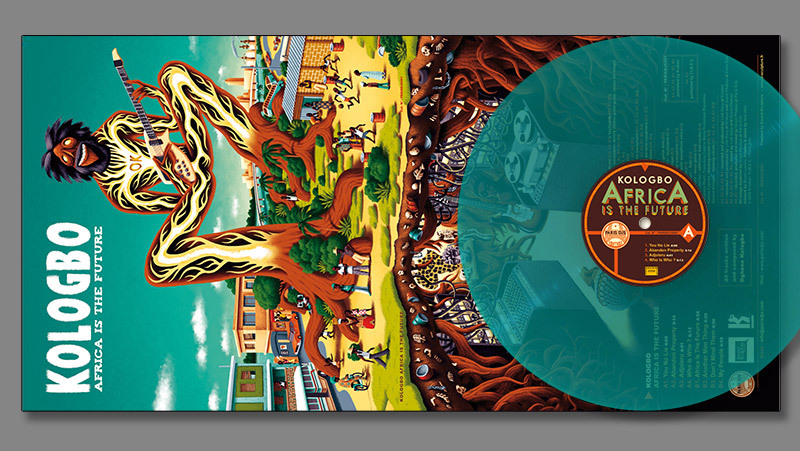 Pre-order a limited edition vinyl (translucent green for the first 250, black for the next 250), a CD, get yourself printed a made in france collector T-shirt (with a download code printed on the back! ), support our new crowdfunding campaign. Vinyl will be released late september 2017, just at the end of this Kiss Kiss Bank Bank campaign. And more than anything, don't hesitate to spread the word around ! 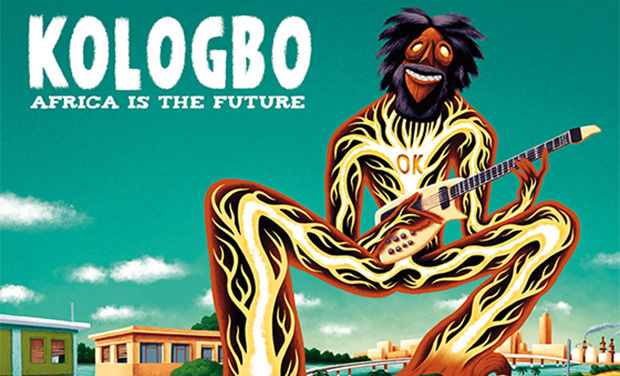 In the 1980s and 1990s, Kologbo worked with the legendary but short-lived Roots Anabo. He also toured and recorded with King Sunny Ade, Tony Allen, and Brenda Fassie, among others. 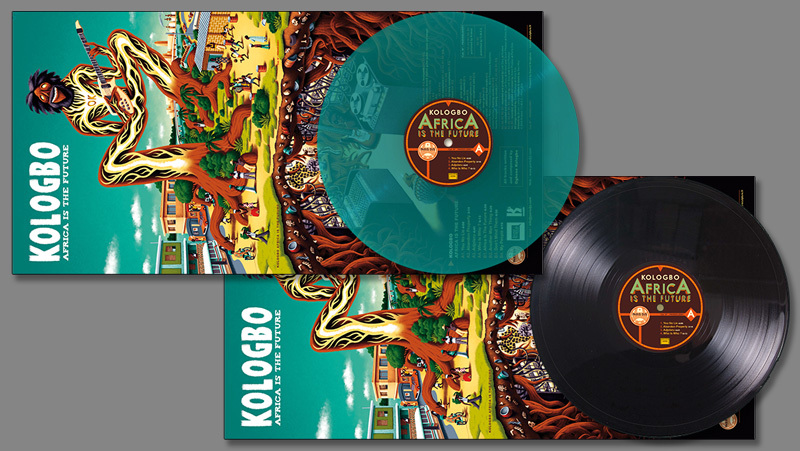 In 2005, Kologbo began working with the Afrobeat Academy, Berlin's heaviest afrobeat ensemble — which later on morphed into Ghanean guitarist Ebo Taylor's and then Ghanean singer Pat Thomas' backing bands — and released together in 2007 the album "Remember Fela Kuti". In 2008 he moved to France to join Tony Allen's on tenor guitar. 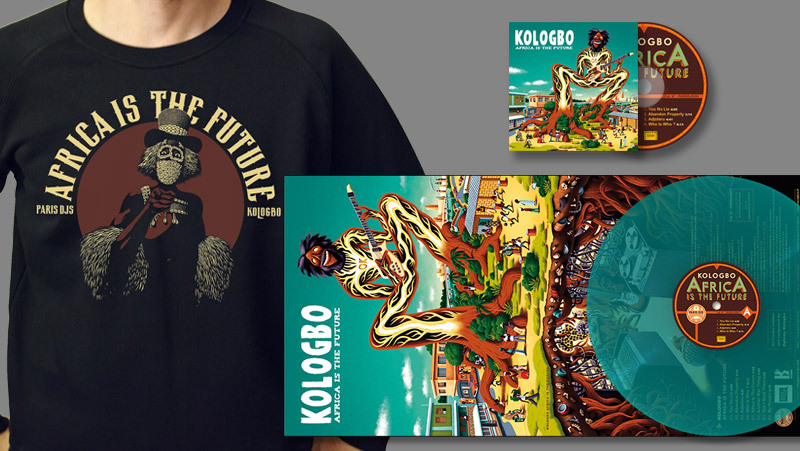 After nearly a year playing and teaching Afrobeat in Brazil, Kologbo came back to France to work on his new record, "Africa is the Future", produced by Loik Dury and Grant Phabao from the Paris DJs collective/label/media/store. "Africa Is The Future" is a true collective effort, with many guests gathering forces on the project: Tony Allen, playing drums on 5 tracks (Nigeria/France), singer Pat Thomas (Ghana), deejay Joseph Cotton (Jamaica), singer Ayo (Nigeria/Germany), horn players from the Afrobeat Academy (Germany) or from Les Frères Smith (France), members of Antibalas (USA), Newen Afrobeat (Chile), etc. 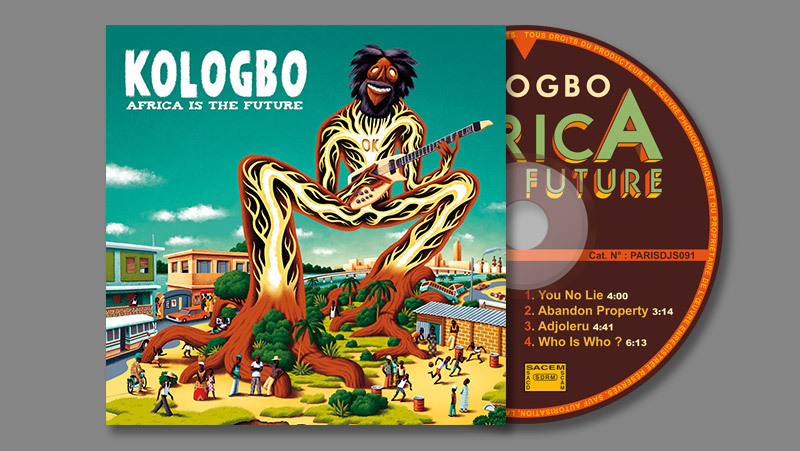 This is afrobeat from the 21st century at its purest, blending the originators and the descendants together ! And it's just a new beginning, with Kologbo now preparing recording projects with Paris DJs and news dates should follow soon… Since this summer, every 6 of the month is declared official "Kologbo Day" at Paris DJs, we'll thus reveal on august 6th and septembre 6th a new song from the album each time, before the vinyl release on september 29. 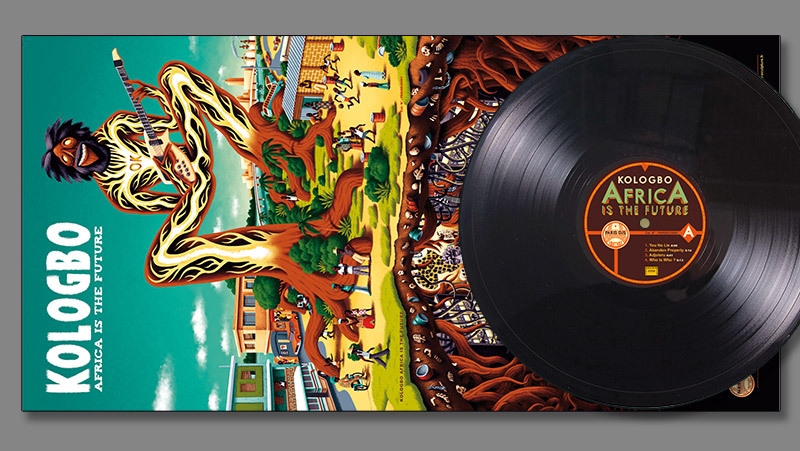 Good news, "Africa Is The Future" has been licensed by the P-Vine Records label and released in Japan at the end of july. 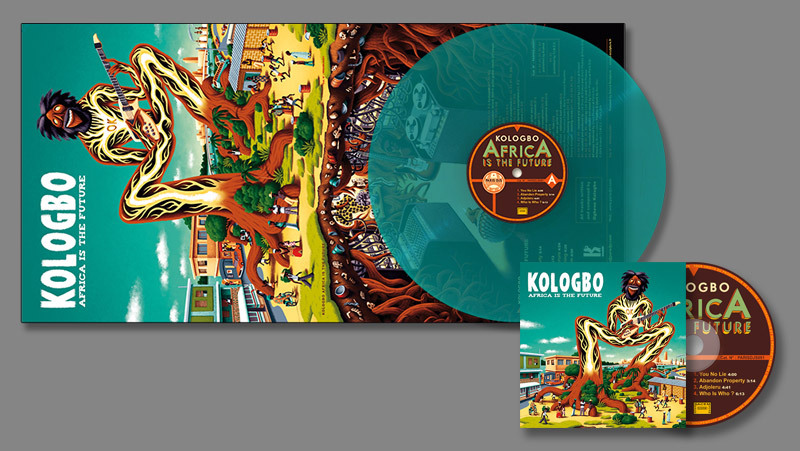 We hope you'll be many to participate in this vinyl pressing crowdfunding campaign, so that we may quickly release the new tunes we've recorded with Kologbo those last months. Find below the complete Kologbo interview we had published last year in the first issue of the Paris DJs magazine - his whole story in 10 pages ! Alas it's all in French... but don't worry a big big chunk of this interview has been translated in English and will be printed on the inside of the gatefold sleeve... and in Japanese for the CDs released in Japan! T-shirts made in France. 160g cotton, carbon-brushed for an ultra-soft feel. Double topstitch. Short sleeves. Slightly slim fit for men, slim fit for women. Sweat shirt made in France. 100 % Cotton 380 gr heavyweight fleece non-brushed. Double topstitch. Raglan sleeve. Slightly slim fit. If you've picked a T-shirt or sweatshirt we'll need your size (XS, S, M, L, XL, XXL, XXXL) and model (men or women). 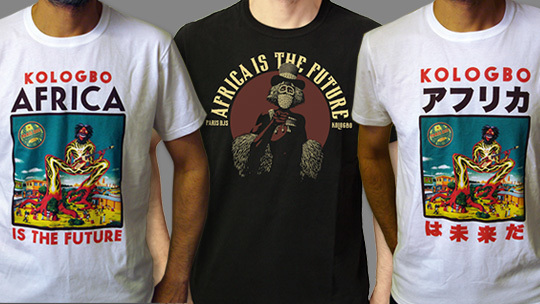 The T-shirts and sweatshirts brand is Le T-shirt Français. More info here. Our goal is 3.000€ but truly we need more than that, which is why we're counting on you and your network ! Funds collected on this platform will be credited to the T.I.M.E.C. company's account (Paris DJS is the commercial brand of T.I.M.E.C.). That's a total cost of 7.100€. So if everything goes according to plan, we'll have 4.100€ left to fund ourselves. Of course, the more you'll support us, the fastest we'll be able to come back with new music ! As Louis Armstrong used to say : "our music is a secret order" ! Thanks for your support ! Thanks again for those who keep on coming back ! !